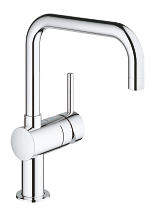 All elements must be considered to ensure that form and function achieve a harmonious balance. 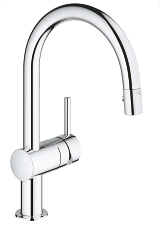 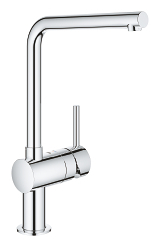 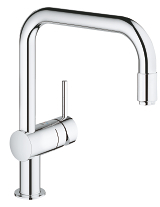 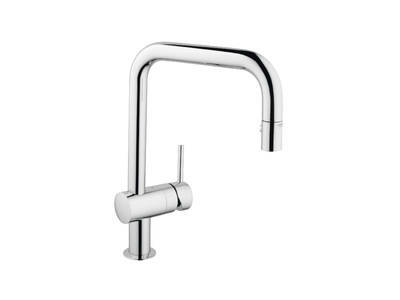 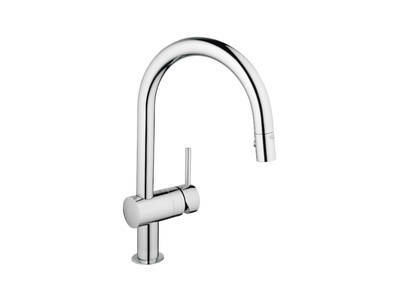 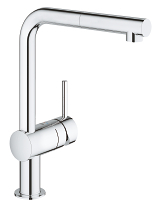 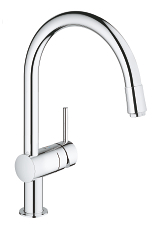 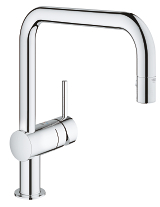 Available with a choice of three graphic spout shapes: U-shape, C-shape and L-shape; Minta fuses the visual clarity of its slender swivel spout with the convenience of a pull-out rinsing spray. 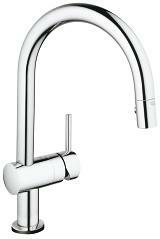 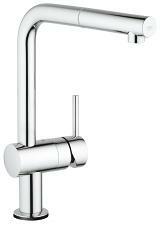 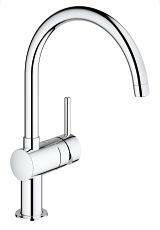 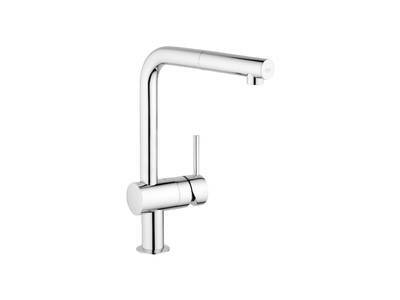 The elegant lever handle benefits from GROHE SilkMove® technology – for smooth operation and fingertip control, while GROHE StarLight® chrome guarantees a pristine finish for years to come.